Welcome to Dawley Baptist Church. We hope that all who come through the door will find a warm welcome and the love and peace only Christ can give. 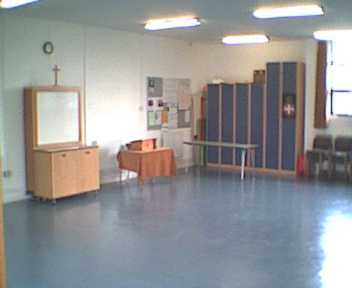 The church building can be hired for business, private, commercial or community use. Click HERE to download the hiring terms and conditions and a letting application form(note). The building is specifically designed to have the most flexible configuration for both worship and community use. Additionally, Dawley Baptist Church provides an ideal location for small conferences and private functions. As well as the Sanctuary, the church can also accommodate events and meetings in the Community Room, two small meeting rooms and a spacious foyer. Either of the two larger rooms can be further divided using a flexible screen. Please feel free to contact the minister to discuss the most appropriate configuration for your event. The building also complies with the latest regulations for disabled access - all rooms will accommodate wheelchair-users and suitable toilet facilities are available onsite. 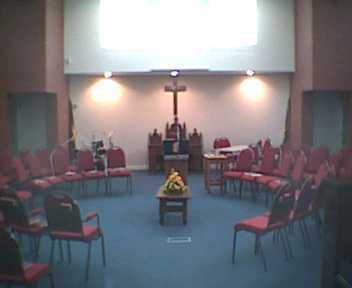 Both the Sanctuary and Community Room are fitted with induction loop systems. A fully-equipped kitchen completes the accommodation. The download is a *.doc file of about 525K so it may take a couple of minutes to load. Whilst we make every effort to keep all our published material up-to-date, the facilities available at the church do change from time to time so you are strongly advised to check the availability of any particular facility before confirming your booking.